Self-love and inner happiness is the key to unlocking your full potential. All other goals such as career, family, wealth, health, relationships and lifestyle all become significantly easier once you have achieved inner-peace and self- acceptance. 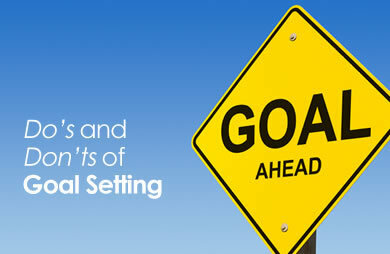 For more on goal setting and time management classes call us on 888.815.0604. Set some challenging goals that stretch you and some easier goals. Easier goals can be achieved faster and will motivate you to go on to achieve more challenging goals. Challenging goals, like starting your own business or running a marathon, may seem daunting at first, however they are there to take you out of your existing comfort zone. Once achieved the rewards are enormous. Jack Welsh (former CEO of General Electric) said, "We have found that by reaching for what appears to be the impossible, we often actually do the impossible; and even when we don't quite make it, we inevitably wind up doing better than we would have done." Having a 5-years plan is IMPORTANT but focus on setting shorter-term goals which can be achieved in 3-12 months. Short-term goals help you prioritize and take more immediate action. You should see your short-term goals as important stepping-stones to achieving your 5-year plan. We don’t recommend working on more than 5 goals at a time. Napoleon Hill once said, " A goal is a dream with a deadline". Procrastination is a success killer. By setting goals with deadlines you establish a sense of urgency that translates to more immediate action! Describe in detail the exact kind of person you wish to be in a relationship with. Through our network of local trainers we deliver onsite Effective Time Management classes right across the country. Obtain a quote for an onsite Time Management class. To view a sample of our past students testimonials, please click on the following link: Time Management testimonials.